Laguna Hills, CA – November 7, 2018 – BMW of North America, LLC (BMW) is recalling certain 2013-2018 BMW 328d and 328d xDrive, 2014-2018 328d Sports Wagon and 328d xDrive Sports Wagon, 2014-2016 535d and 535d xDrive, 2015 740Ld xDrive, 2015-2017 X3 xDrive28d SAV and 2014-2017 X5 xDrive35d SAV vehicles equipped with an Exhaust Gas Recirculation (EGR) module with an integrated cooler. If the EGR cooler leaks internally, the coolant can mix with diesel engine soot. The high EGR temperatures may result in these particles possibly smoldering and melting the intake manifold, which can increase the risk of a fire. According to the NHTSA Recall Safety Report, approximately 12,781 Model Year 2013-2018 BMW 328d and 328d xDrive Diesel engine vehicles were equipped with an Exhaust Gas Recirculation (EGR) module that featured an integrated cooling component (“cooler”). Over time, this component could start to internally leak glycol coolant, because the recall component was not produced with sufficient long-term durability characteristics. During vehicle operation, if an internal coolant leak began inside the EGR cooler, the fluid could mix with normal diesel engine soot/sediment. This combination in the engine environment with high temperatures normally present might result in smoldering particles, which in very rare cases could lead to the melting of the intake manifold. In extreme cases, this could result in a possible fire. During vehicle operation, the driver may be alerted to this condition by one or more of the following: A warning symbol in the instrument cluster displaying a loss of engine coolant, a reduction in engine power, an unpleasant odor (exhaust gas), an unusual noise from the engine compartment, and/or smoke from the engine compartment. 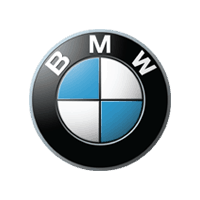 On July 26, 2018, BMW submitted the required Part 579 report, to which NHTSA assigned “18F-137” as the Foreign Recall ID after BMW became aware of an issue in the Korean market. On September 5, 2018, BMW met with NHTSA to explain EGR system differences between vehicles in the U.S. market and vehicles in other markets. BMW provided a summary of U.S. field data including warranty claims, consumer complaints, and field reports which indicated coolant leak warnings, drivability concerns, or damage to the intake manifold. BMW also stated that it would continue to closely monitor the field. In October 2018, further in-depth analyses indicated that it was possible that one incident could be attributed to this issue. BMW decided to conduct a voluntary safety recall although at the time of the report, BMW was unaware of any accidents or injuries related to this issue. Owners will be notified by First Class mail and instructed to take their vehicle to an authorized BMW center to have the remedy performed at no cost. The EGR cooler will be inspected and, if necessary, replaced free of charge. If it is determined that the EGR cooler has internally leaked, the engine intake manifold will also be replaced. The EGR pipe connecting the cooler to the manifold will be cleaned. Owners who have replaced the EGR cooler at their own expense prior to the recall notification may be eligible for reimbursement according to BMW Group’s reimbursement plan. Notification to owners is planned to begin and end on December 17, 2018. Owners may also call the National Highway Traffic Safety Administration Vehicle Safety Hotline at 1-888-327-4236 (TTY 1-800-424-9153). The NHTSA Campaign Number for this recall is 18V-755.